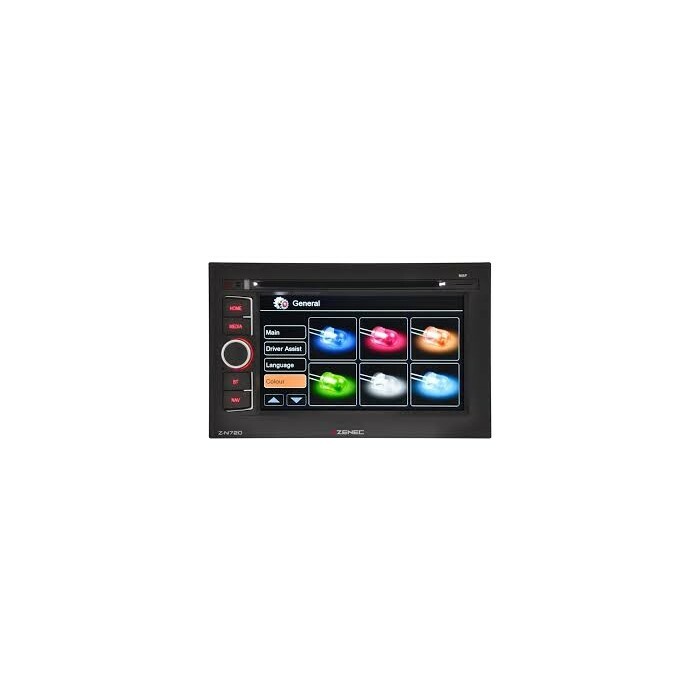 The innovative naviceiver Z-N720MH is a clever package of navigation, entertainment and communication, providing a retrofit of 2-DIN mounting slots. For a precise, straightforward guidance, the Z-N720MH provides the latest maps of Europe, a premium database of more than 10 million points of interest and impressively realistic 3-D views. But that's not all: The Z-N720MH is equipped with a special motorhome/RV navigation software which makes navigating with caravans or trailer combinations so much easier. The CampingFinder POI package also comes preinstalled, providing information on camping and caravan sites throughout Europe. Combining sophisticated navigation functions with modern multimedia features, the Z-N720MH also gives a brilliant performance as an entertainer. 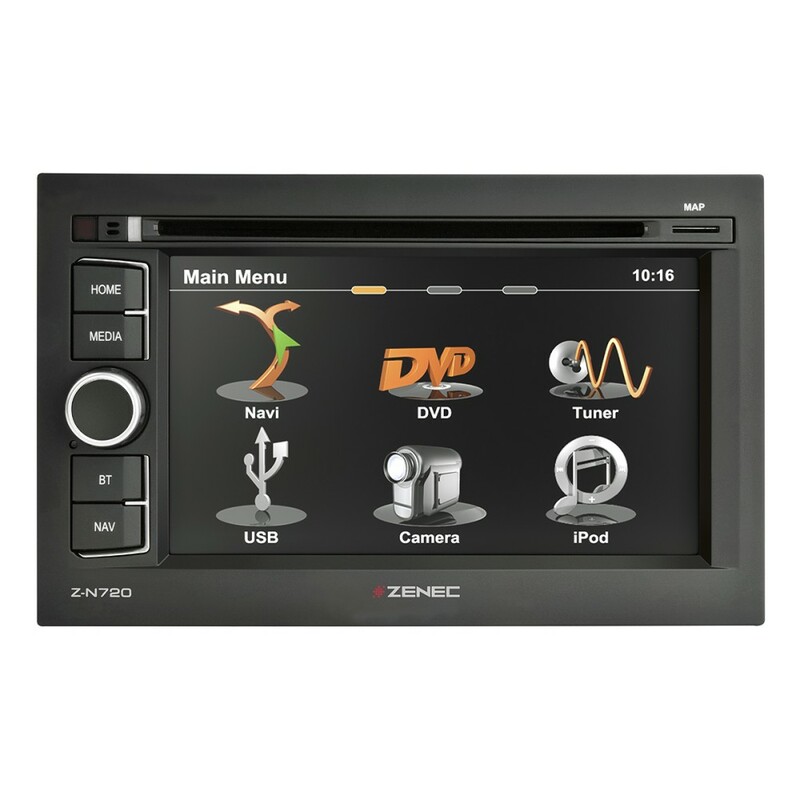 The built-in CD/DVD drive and a USB port provide the playback of all current media and A/V formats. iPods and iPhones can be connected to the ZENEC in seconds via an interface cable (available separately). Thanks to the latest Bluetooth technology from Parrot, calls can be easily managed from the cockpit. yes you should be able to remove the zenec radio you currently have and replace it with the newer model 720 without needing to change any parts. Will this fit my 2011 VW Caddy? Do you have a system that fits ford mk2 Mondeo st200? We do not sell a specific system for your Mondeo. Please see a below for the suggested fitting kit.